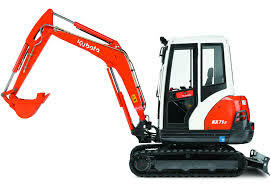 Do you have a compact digger or excavator for sale? Are you looking to sell your compact digger or excavator? If you’re looking to sell your compact digger or excavator or have a compact digger or excavator for sale , then be sure to get in touch with Sell My Digger. As experts and buyers in the digging field then we are the best placed company to give you a fast, and more importantly, a fair quote on your compact digging machinery. Compact diggers are diggers far smaller in size and reach than other diggers, and can often be referred to as micro or mini diggers. 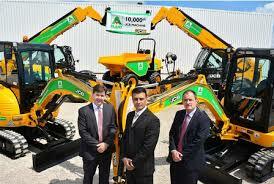 These diggers are powerful and ideal tool for productivity, efficiency and cost-effective solutions. Compact diggers are great for both indoor and outdoor use. With operating weights from around 1500kg right up to around 10 tonnes, there’s literally a compact digger to suit most tasks in the landscaping, digging and construction sectors. If you have a compact digger which you now no longer have any use for, then be sure to get in touch with us. All you need to do is just tell us a little bit about the compact digger you’re looking to sell, and our experts will get back to you as soon as possible with a cash quote for your machinery. Not only will we offer you a reasonable cash price for your excavators, we will also do all the hard work and come and take it off your hands. We deal with compact digger sales throughout the UK so no matter how far north, south, east or west you are based in the country, we can help you if you reach out to us today. So if you have a compact digger or excavator for sale or are you looking to sell your compact digger or excavator, why not give us a contact us today! Contact us by simply Requesting a Valuation.